Psytrance music is one of the forms of trance music that has been pieced together by DJs. It is actually safe to say that DJs contributed hugely to the emergence of psytrance. And thanks to their continued desire to contribute to the evolution of the genre, it is what it has become today. 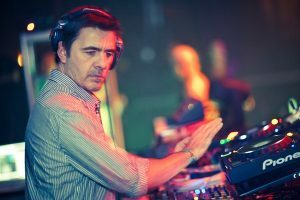 As early as the late 1970s, DJs had already started mixing certain trance music tracks with tracks and beats from all over the world in a bid to create unique tunes. For example, Goa trance which dawned around the early ’80s was mostly mixed by DJs. Laurent and Fred Disko are the two DJs who contributed significantly to the development of Psytrance music when they mixed Goa trance with a number of electro-industrial tunes. Since then, the genre has grown to become one of the most popular kinds of music today. As a matter of fact, it has a much larger following than other subgenres of trance music including Goa trance from which it was derived. People in all parts of the world celebrate the culture, art and the music of the genre. Since the day psytrance music was brought on board, many artists and bands have been formed and each of them has contributed to the growth of the genre. Having contributed greatly to the development of the genre, DJs have been following the development of the genre and are thus the best people to ask for the list of the top psytrance music artists or bands of all time. Here is a look at some of the most renowned psytrance music of all time as suggested by some of psyrance industry’s most iconic DJs . Infected Mushroom: This is a Goa-based group comprising Erez Eisen and Amit Duvdevani. The two are involved in the production and composition of the music. Their most prolific songs of their careers include Cities of the Future, Becoming insane and Pink Nightmares. Astrix: this is an Israeli born psytrance music producer and DJ who has contributed greatly to the development of the genre. Ever since the inception of psy, Astrix has worked tirelessly to assert his music production prowess on the psytrance market. Astrix is held in high esteem for his unparalleled contribution to the transformation of Full on Psytrance (another subgenre of trance music). Major examples of his songs are Closer To Heaven, Deep Jungle Walk and Acid Rocker. He remains one of the best psytrance artists in the industry. Hallucinogen: this is the stage name that is used by Simon Posford who is yet another iconic figure of the psytrance musical fraternity. His music is electrifying and thought provoking. Major examples of the songs that he has produced include Astral Pancakes/Fluoro Neuro Sponge, Soothsayer/Angelic Particles and LSD (studio version). Doof: Doof is a UK born artist who has been in the trance and electronic music arena for many years. His real name is Nicholas – or Nick – Barber. 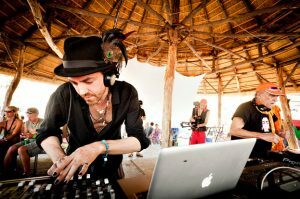 Having been around when the genre was born, Nick is one of the major contributors to the development of psytrance music. Major examples of the albums he has produced include Seeds, Let’s Turn On, It’s about Time and Clear Blue Sky. Vibe Tribe: this is a psytrance project which was developed by an Israeli producer and musician, Stas Marnyanski, who is also Russian. Since they formed in the early 2000s, the project has led to the release of many popular tracks. Some of the best examples of albums to have been released by the project include Melodrama and Wise Cracks, which remain popular up to this very day. Parasense: this is yet another a high profile psychedelic music project which was brought on board by a Russian Psytrance expert, Alex Kurkin, along with Viktor his colleague, who passed away in 2006. Alex has continued to produce music under the label. Major tracks which the project has given rise to are Not Even On The Sunrise, Keep In Mind and Really Freaking Out.